I drew out a toolbox design and had my husband cut it out for me. Just the two ends that are kinda shaped like a front of a house, two sides, just rectangles, and then the flat bottom. The handle was a little tricky to get it in there. We used a tobacco stick, just cut it to size, and had to drill two holes in the ends to hold it. 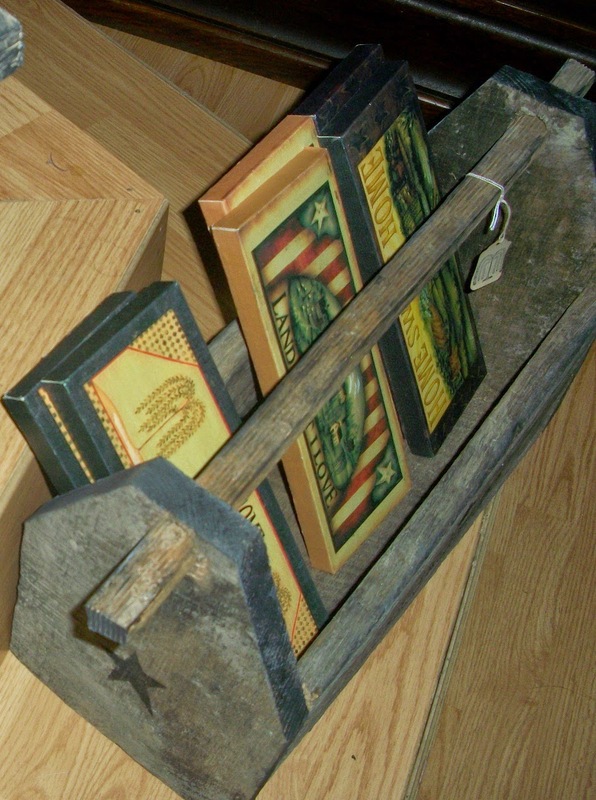 After he put it together, I gave it a little detailing along the edges with black paint, to make it a lil more rustic. Then I stenciled on the words and stars with some basic craft paint from WalMart. 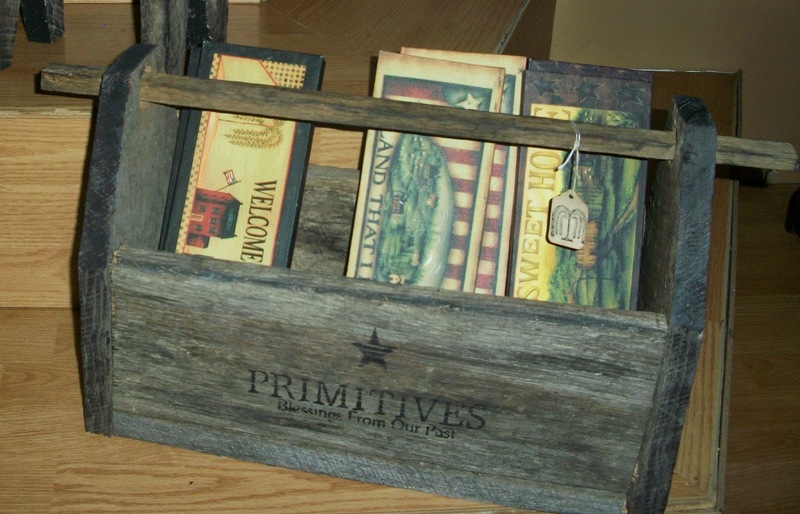 The stencils can be found on eBay just by searching for "primitive stencils." If you like the Old Crow Stool behind it, you can see that post here. PRICE: $19.99 SOLD in my Booth #555.